Kato pre-ballasted track provides an excellent alternative to traditional Hornby and PECO track, particularly for modellers that don't have the space for a permanent model railway layout. KATO track has a unique joining mechanism which both allows for easy connecting and separating and also holds the track together preventing the tracks separating during operation. It is suitable for modern Hornby OO locomotives. 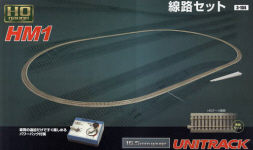 Kato track is sold in pack quantities of 2 to 4 pieces. Per piece Kato Track is about 50% more expensive than Hornby track. Bare in mind that Kato track is built to last and the additional cost will be money well spent if the added features are desirable to you. Take into account that you do not need to ballast the Kato track. Like other track ranges Kato track is available in a range of straight and curved sections along with a range a special sections. 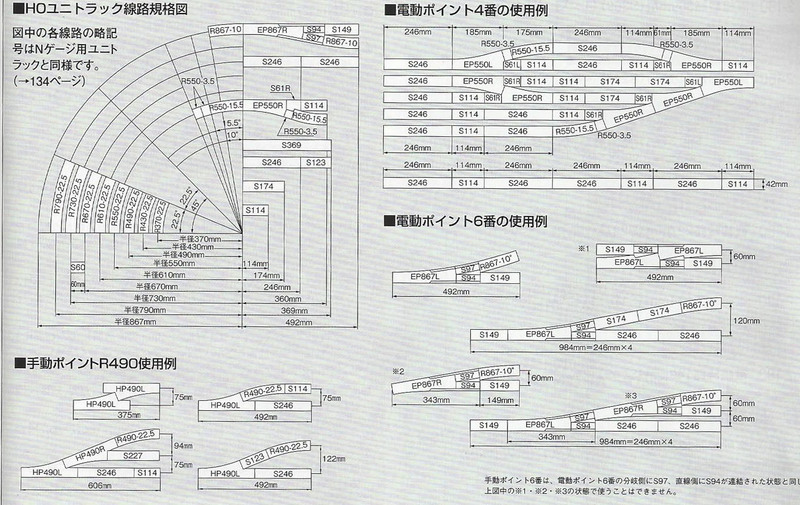 Kato track is currently available in 9 different straight lengths and 9 different curved radiuses. Special sections include buffer straights, straight crossover, electric light signal, and re-railing / level crossing track. HM1 R670 Master Set - This is a starter oval pack that includes a controller. It's a great place to start. HV1 R730 Double Track Expansion Set - This adds an additional oval with a radius of 730mm to the HM1 pack. HV2 Manual Turnout Expansion Set - This adds a passing section with two manual points to your oval. HV3 Electric Turnout Expansion Set - This adds two electric points to your layout to allow you to run a model from one oval of track to another. 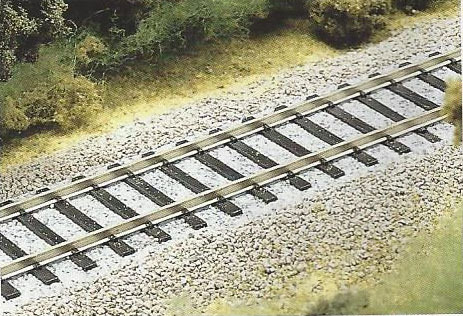 HV4 Electric Turnout Expansion Set: Just as HV3 this adds two electric points to your layout to allow you to run a model from one oval of track to another. It differs from HVR3 in that the points are longer with a smaller radius. HV5 Oval Variation Pack: This adds an additional oval with a radius of 550mm to the HM1 pack. 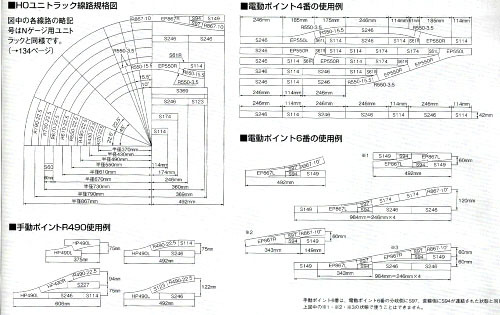 Kato points have a number of advantages over Hornby or Peco Points. To start with Kato Points also come pre-ballasted. Ballasting around standard points is a time consuming job with the risk of gluing the point in position. This is something you will be happy to avoid. The ballast also has the advantage of allowing Kato to hide the point motors under the track. 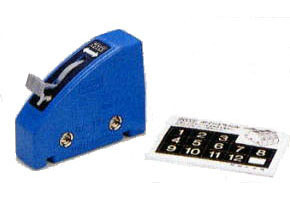 Kato points can be purchased either manual or with motors pre-fitted. Motors can be fitted to manual points at a later date. Simply remove the 2 screws holding in a ballast covered plate, fit the motor and use the same screws to hold the motor in place. Kato Points have the built in power routing option. "Power Routing" mode allows the point to switch the power in the direction the point is thrown, feeding the power only to the train you want. This allows you to isolate a train in sidings under DC control so that only one train moves. Under "Non-Power Routing" mode, the power is fed through both directions, regardless of the position of the point. 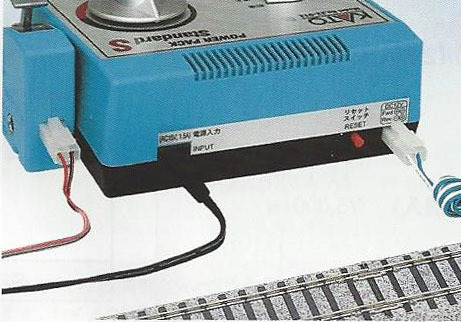 This is desirable if you are using DCC control or if you have two ovals, connected by points and would like to use only one controller to operate one locomotive on both loops. Kato power and control products come pre-fitted with a plug and play connecter. There is no need to solder or use terminal blocks. This makes it by far the most user friendly system on the market and is one of its best selling points (excuse the pun). 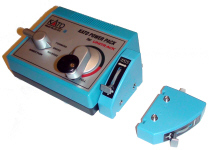 The Kato power pack provides analogue DC power with simplified wiring connections to their feeder track pieces, using a unique keyed plug and socket system. 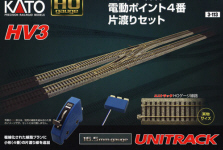 An adapter wire is also included for connection to non Kato track. The controller features a rotational variable speed control dial and a directional switching dial. The controller has been designed to give the impression of real locomotive controls which does add to the experience of running trains on your model railway layout. Kato accessories can be connected together (side by side) using a built in power clip. This clip is also built-in to the Kato controller, allowing you to simply clip your accessories switches and connectors to the side of the controller. Table Top Layout. If you don't have the time to build and operate a permanent model railway then Kato track is perfect for you. 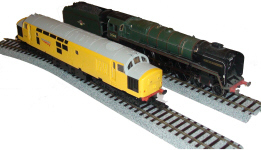 I was contacted by someone that had recently purchased a Hornby Train set for an elderly gentleman. They did not have anywhere to set up the track so where using their dinning table. They were experiencing problems with the rail joiners separating during operation and this problem was getting worse every time they used it. The elderly gentlemen was also struggling to align the track. We suggested Kato track with its unique joining mechanism which allows for easy connection and separation of the track sections. The clip in addition to the fishplate has the added benefit of preventing the track separating during operation. The person was very happy with the results. Not only did the track stay together but it was far easier to connect. Since this initial feedback I have recommended Kato track and controls to a number of people with similar requirements from a child's first layout, to experienced modellers wanting a simple and reliable track and control system. We have always received nothing but positive feedback. Can I use Kato track and points with my existing non Kato controller? Yes you can. 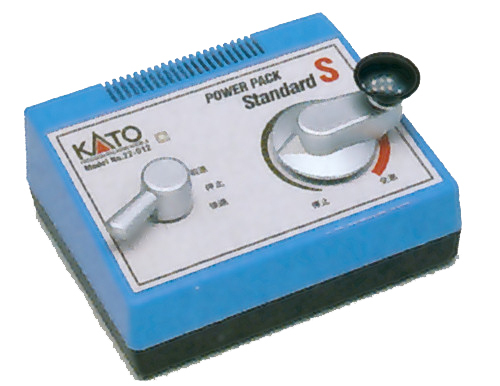 Simply remove the plug connector on the Kato feeder track and connect the two wires to your controllers track power output following any instructions provided with your controller. To power the points you will need a Kato AC/DC Converter 24-842 to connect the points to a standard 16V AC accessories output of your controller. Can Kato track be pinned to a board? Yes. Kato produce nails for the job 24-015. I would like to ballast between the track Is their a matching ballast?